There are 2 types of Events we offer for Children's groups…Ages 10-15. All Participants need a waiver signed by the parent/guardian and follow the studio dress code. 1. Demo Event ..Time approx 1 Hour. The Demo Event consists of the following items. Each person will get a tour of the Studio, Gallery and Hot Shop, A short explanation of Peters background in art and glass processes. 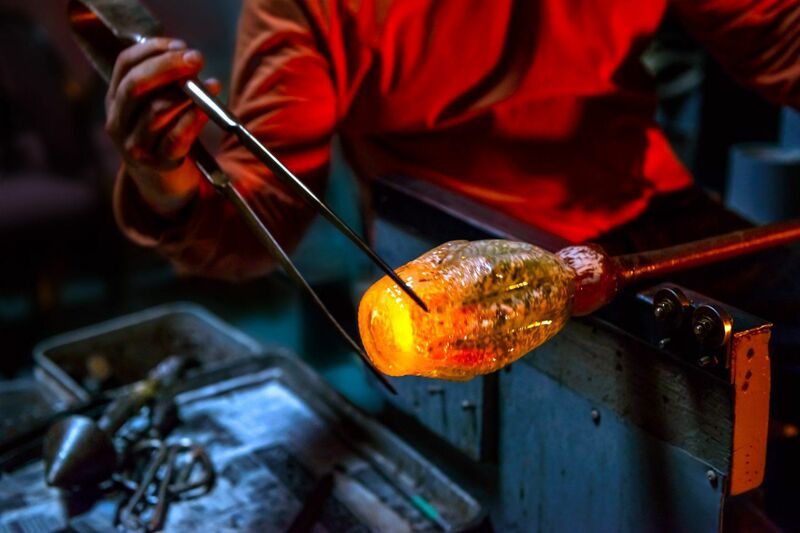 The group will also receive a Demonstration of how Art Glass is made.The Minimum number of people for this event is 6. Maximum number of people is 50 per group. The cost for this event is $20.00 per person(based on 10 or more people) If there are less than 10 people the cost will be $25.00 per person. A table for drinks or treats will be available on request. 2. Art Piece Event ..Time approx 2 Hours. The Art Piece Event consists of the following items. Each person will get a tour of the Studio, Gallery and Hot Shop, A short explanation of Peters background in art and glass processes. 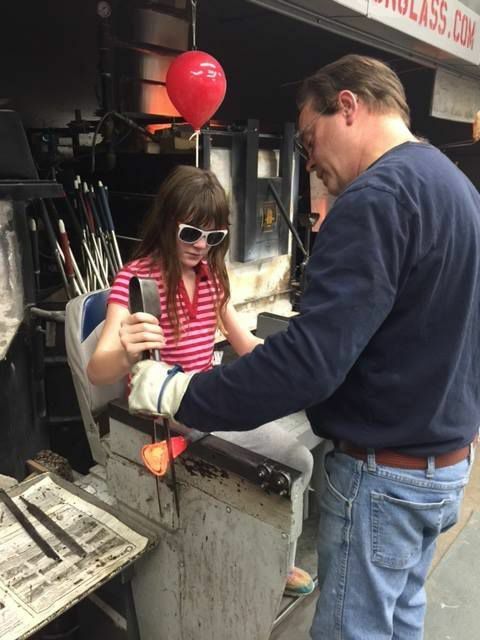 The group will also receive a Demonstration of how Art Glass is made. In addition to the above, each person will get to make a Art Glass piece with limited participation. Each person will be able to pick out colors for their pieces. The cost for this event starts at $45.00 per person. A table for drinks or treats will be available on request.